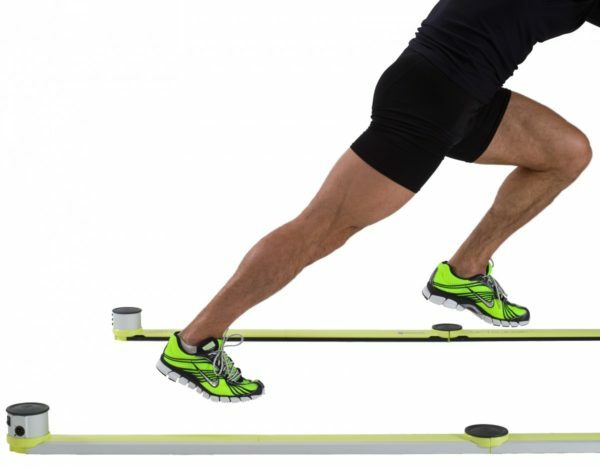 It is an innovative system of analysis and measurement that brings a new philosophy of assessment and optimization of performance to the world of competitive sport: it is designed for the development of a specific and customized training program for the athlete, based exclusively on precise objective data. By acquiring the fundamental parameters that characterize the level of an individual’s performance and physical condition, Optojump Next allows coaches, trainers and researchers to constantly test and monitor their athletes. This makes it possible to ascertain the abilities or physical fitness of an athlete in a simple and immediate way, creating over time a real database that makes it possible to compare values for that athlete or different athletes (even at a distance of months or years). OptoJump works by using a complex system of sensors and tests to determine the exact physical condition and capabilities of athletes, with much more accuracy than traditional measurements of weight, height, and blood pressure. The technology also allows Northeastern's athletic directors to easily record and monitor the progress of their players, as well as chart recovery from injuries, a major concern for many sports departments. The data provided by OptoJump's biomechanical assessment systems also allows for the development of specialized training programs for athletes based on their strengths and weaknesses. If you are a serious athlete or a person serious about their health, there is no better person or Nutritionist than Dr. Silverman. He is by far the most knowledgeable person I have ever met in regards to using nutrition to enhance your performance in either athletics or just your everyday life.